Most of us have one or two easy chicken recipes we fall back on when we want to eat well after a tough day at work or school – but still want dinner to be healthy and flavor packed. A recipe you can always count on to deliver delicious food with minimal prep and fanfare is an important thing to have in your arsenal. 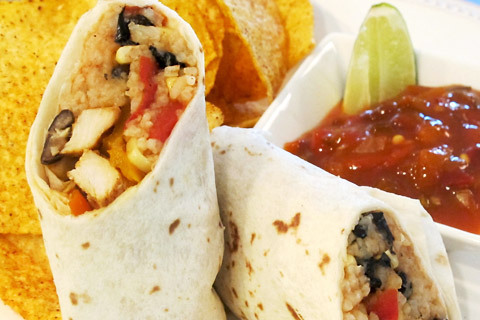 This chicken burrito recipe is just that: easy and super yummy! Bonus: you can make this Mexican chicken recipe in your Tiger multi cooker. Wait… how do you say delicious in Spanish? That’s easy – delicioso! Now, this is the easy part! 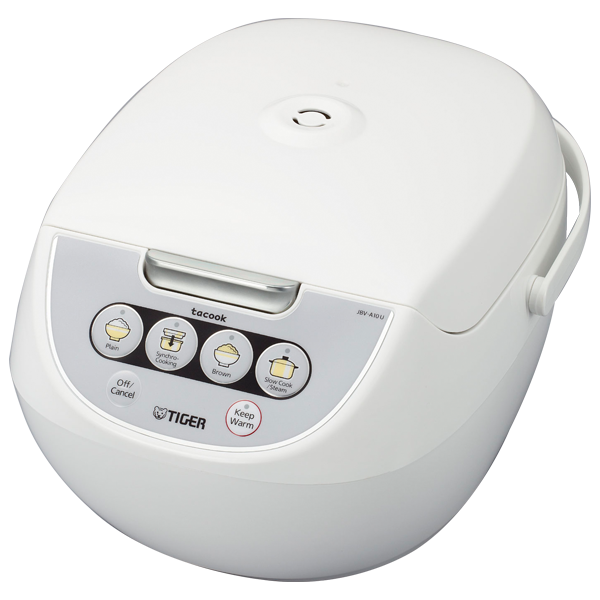 Since so many Tiger rice cookers come with two cooking areas within the same machine, you don’t have to worry about cooking the burrito elements separately. Seriously, just load all the ingredients for the Mexican rice and beans in the inner pot of your rice cooker. Then load the Tacook plate with your chicken, peppers and spices. 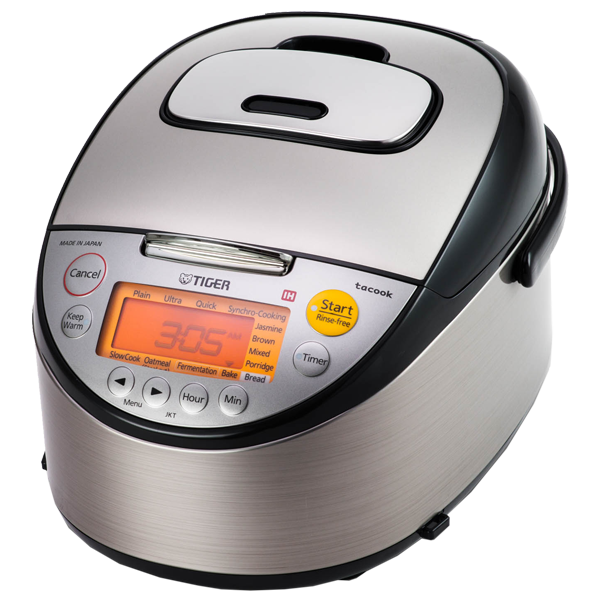 Next, just select the Syncro-Cooking setting and press Start. That’s it! 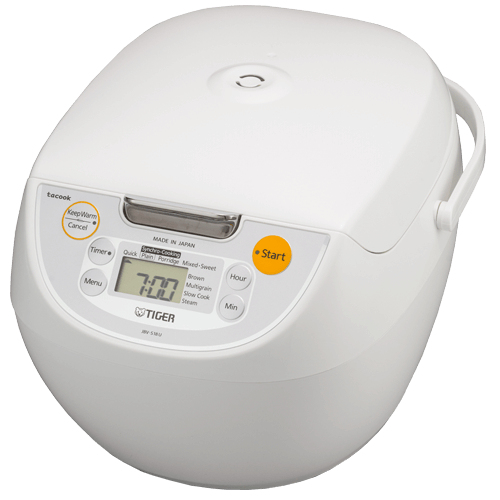 Your Mexican rice cooks in the pot below, white steaming the chicken to perfection. 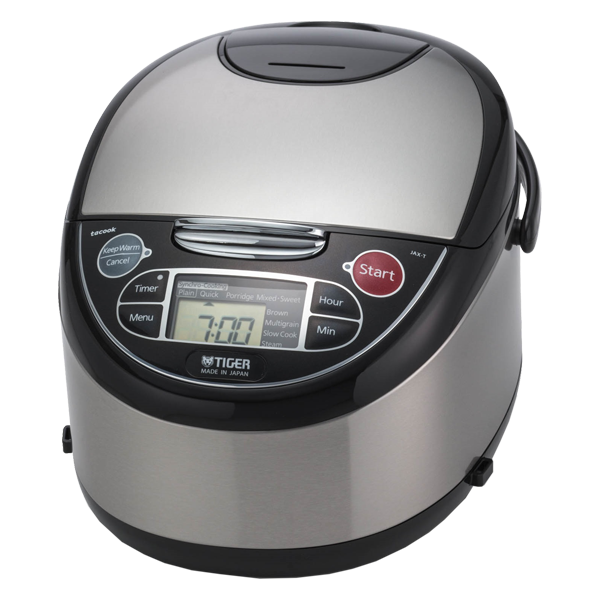 Preparing this easy recipe in your multi cooker erases the guesswork, while saving major time and clean up. But, c’mon – we all want to know – how does it taste!? By now, you know we love keeping it easy at dinnertime. But, just as important, is the taste. If it’s worth making at all, it better be all-kinds-of-YUM! Fortunately, these chipotle chicken burritos with Mexican rice tick both boxes. Full disclosure: we’d actually load up soft tortillas with smoky chipotle chicken and savory Mexican rice and beans even if it was difficult. But, luckily, this chicken and rice recipe just happens to be easy AND loaded with tons of South-of-the-border flavor! Place the chicken strips in a mixing bowl and add the minced garlic, chili powder, ground cumin and adobo sauce. Season with salt and pepper and toss to coat. Place the bell pepper strips in the cooking plate and top with the strips of seasoned chicken. Be sure to spread the mixture over the entire cooking plate. 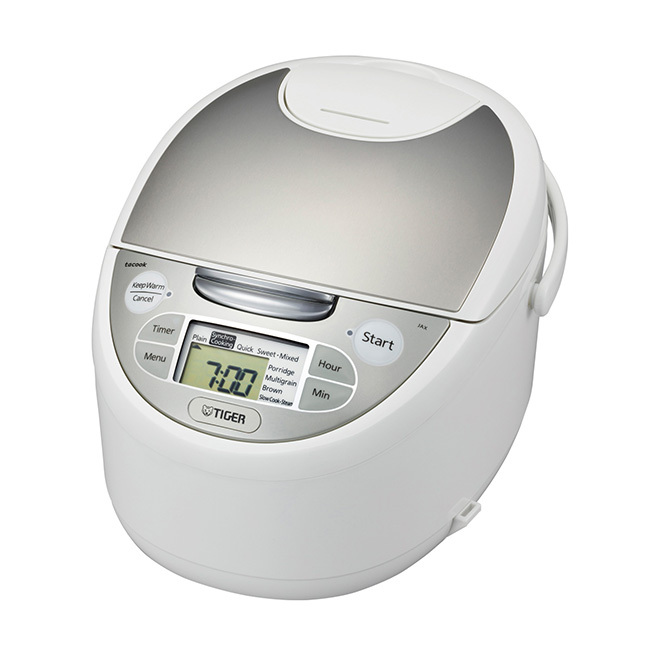 Place non-stick inner pot of your Tacook Rice Cooker into the rice cooker and add the rice. Add the diced tomatoes, corn black beans, cumin and broth. Season with salt and pepper and stir to combine. Place the cooking plate with the chicken and bell pepper on top of the inner pot. 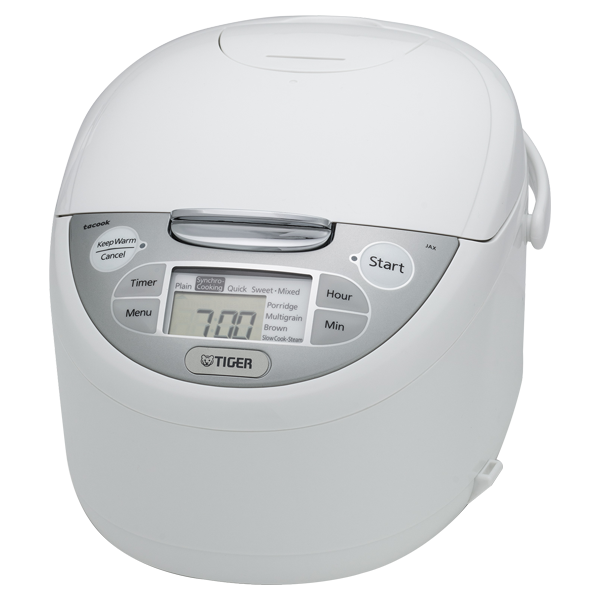 Use the Menu button to set the rice cooker to the “Synchro Cooking/Plain”. Close the lid and press Start. Once the rice and chicken are done cooking, place a spoonful of rice in each warm tortilla. Top with the chicken and bell pepper mixture and roll the tortilla up tightly to create a burrito. Cut the burritos in half and serve.